Homeschooling your children doesn't have to cost a small fortune, infact it can be done very affordably. In this post I will share my best tips for homeschooling on a tight budget. Skip buying expensive text books and just check out lots of books on whatever topic you are studying from your local library. A stack full of library books written by a variety of authors from a variety of perspectives is always going to give a more rounded view of a topic than a single text book anyway. Libraries often also have educational DVD's, audio books, educational magazines, story time for preschoolers, and many other resources available for free or low cost. We LOVE our local library's weekly story and craft time. We went every week when my older daughter was preschool and kindergarten age and will probably start going again soon now that my younger daughter is old enough to sit still for a story. In this post I will share my recipe and step by step instructions for my all purpose healing salve. First though, I need to tell you about an amazing backyard herb I like to harvest for this salve called plantain. The plantains (there are several varieties) are a medicinal herb that can be found growing just about anywhere. Chances are you have some growing in your yard or near your home. Plantain is anti-inflammatory and has both antimicrobial and analgesic properties. It's soothing to minor wounds and insect bites and can even help stop bleeding. Plantain reduces mucous production, making it a good choice for colds and other respiratory issues. For more information and to learn how to identify this awesome little herb, check out this post from Gwen's Nest. If you can't find any growing near you or would rather just order some, Mountain Rose Herbs sells dried plantain leaf. You can order some here. On the Banks of Plum Creek and all the books in Laura Ingalls Wilder's Little House collection are a fantastic way to teach your children about the pioneer era. I've been slowly reading them all aloud to my 7 year old. We read Little House in the Big Woods and Little House on the Prairie last year. This year we did On the Banks of Plum Creek and I think it's probably my favorite book in the collection. I spent some time scouring my brain and the internet for fun and educational activities to go along with book while we read it. 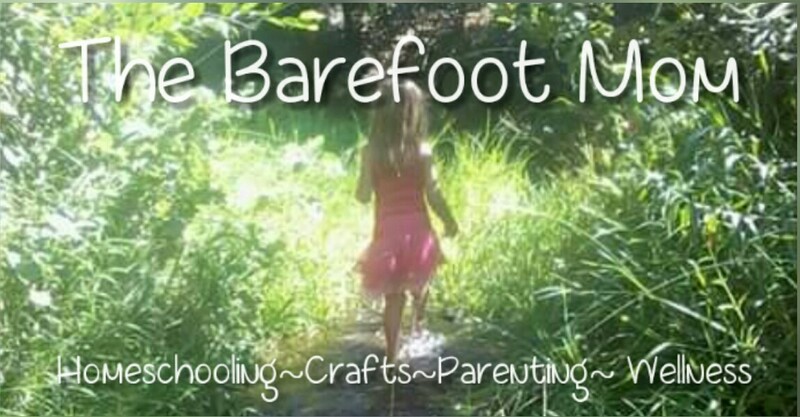 In this post I'll share all the On the Banks of Plum Creek themed activities we did and instructions or links so you can do them too. Laura very vividly describes the prairie around her family's homestead in the first several chapters. Get a large piece of cardboard and some paint and paint a mural based on her description. One of my favorite traditions our family has is building a leprechaun trap each year for St. Patrick's Day. This is a tradition I originally started with my after school program kids way back before I had kids of my own. The kids and I always enjoyed it so much, I was excited to be able to continue this fun tradition with my own kids. We've tried a lot of different designs over the years. Some have worked out better than others. In this post I'll share step by step instructions for one of our all time favorite traps. -An empty oats container or an empty coffee can or another container of similar porportions. Bone broth is an amazing super food that has been a traditional part of the human diet since ancient times. In this post I will tell you about some of it's amazing qualities and then I'll share my personal recipe. Bone broth contains lots of vitamins, minerals, essential amino acids, glucosamine, and many other beneficial compounds in an easy to digest form. It can sooth cold symptoms and even help heal leaky gut syndrome and IBS. Plus it's delicious and makes an excellent baby food.